A conversation about whether it's right for women to smoke water pipes has kicked off online in Egypt. 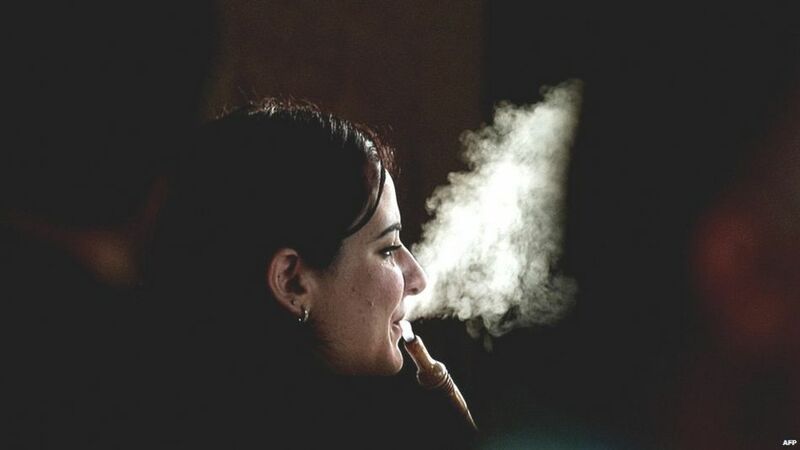 During Ramadan, when Muslims abstain from food, water and tobacco by day, by night Egyptian cafes are packed with men and women smoking shisha pipes, often until the early hours of the morning. These cafes were once the preserve of a mostly male crowd but across the Arab world it's become increasingly common to see women socialising in public over pungent fruit-flavoured tobacco. However some men are passing judgement on women who smoke. In Egypt the Arabic phrase which translates as "What do you think of women who smoke Shisha?" trended this week, with more than 90,000 mentions on Twitter. Many men joining in accused female smokers of being immodest and immoral. One Egyptian manwrote: "A woman smokes because she has nothing to do and her parents are not keeping a close eye on her". Others declared that smoking is a deciding factor when choosing a partner: "She has the right to do whatever she wants but I also have the right not to chose a woman who smokes," one man commented. But the hashtag also got many Arab women fuming with anger: "Stop the sexism. Girls don't care about your opinion losers get a life!" wrote a young Egyptian woman. Even those who are against smoking felt it was unfair to single out women: "I despise shisha with all my heart but I just hate how you have to make it seem worse when a girl is doing it," wrote a woman based in the UAE. The topic has come up before online - the exact same hashtag trended in May in Saudi Arabia. 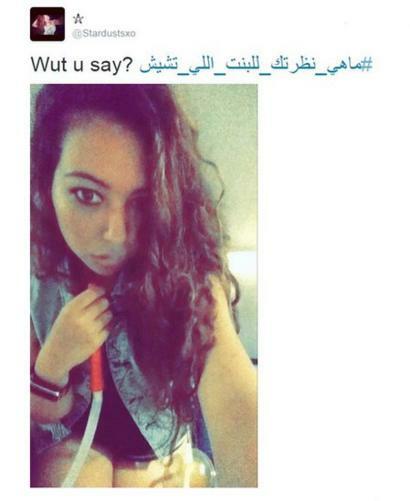 "Women who smoke shisha are less feminine,"tweeted a Saudi man who joined the conversation then. And last year BBC Trending reported on a similar debate that also kicked off in Saudi Arabia after a cafe banned women from smoking the water pipe in public without a male guardian. In fact discussions about gender in the region extend well beyond tobacco. On the same day the smoking topic went big in Egypt another hashtag asking "What do you think about women who shower?" was a top trend on Twitter in Saudi Arabia, with more than 70,000 tweets. Perplexed by the question, many tweeted asking if the tag was a joke. "#ThingsILearnedFromThis Hashtag: whenever you're bored, females is the most interesting topic to talk about," one Lebanese woman wrote.